The gripping courtroom drama that’s captivated the West End - Twelve Angry Men is set to visit Newcastle Theatre Royal this summer starring Tom Conti. Take your seat courtside as battle commences 15 – 20 June 2015. Lauded as one of the great ‘must-see’ movies of all time, Reginald Rose’s Twelve Angry Men originated as a television play and has been successfully adapted for film, radio and stage. The 1957 three-time academy award nominated film version starred and was produced by Henry Fonda. The production proved a huge hit in London where it had a record-breaking run playing to sold out houses and receiving multiple five-star reviews, being hailed as the ‘classiest, most intelligent drama in the West End’ (Daily Express). Olivier Award winner, Tony Award winner and Oscar nominee Tom Conti returns as Juror Number 8, the role made famous by Henry Fonda. Tom is one of the most respected and celebrated actors of his generation - unforgettable as the leading man in hit films such as Merry Christmas Mr Lawrence and Shirley Valentine. Tom and Dame Judi Dench were recently voted the most popular actors in the West End in the last 25 years. Tom will be joined by six of the original West End cast - Robert Duncan, best known for his role as the as jargon-spouting chief executive Gus Hedges in Drop The Dead Donkey; Andrew Frame, who starred as P.C Hargreaves in Eastenders; David Calvitto, whose many theatre credits include These Shining Lives and The Odd Couple; Mark Carter, whose TV credits include Hollyoaks, Utopia and The Knock and Sean Power, who starred in ITV’s Secret Diary Of A Call Girl and Fright Night 2. Jon Carver, who has had a recurring role in Doctors, returns to play the guard. Taking a seat for the tour will be new jury member Andrew Lancel, best known for playing the villainous businessman Frank Foster in Coronation Street. Forming the rest of the jury will be Denis Lill, who starred in The Royal and Only Fools And Horses, Paul Beech, whose theatre credits include King Lear and A Tale of Two Cities, Alexander Forsyth, who has starred in stage productions of Porcelainand It Never Ends, Edward Halsted, who starred in Holby City and Jonathan Creek, and Gareth David-Lloyd, who is best known for his role as Ianto Jones in the Doctor Who spin-off Torchwood. This production is directed by Christopher Haydon, artistic director of the Gate Theatre, Notting Hill. 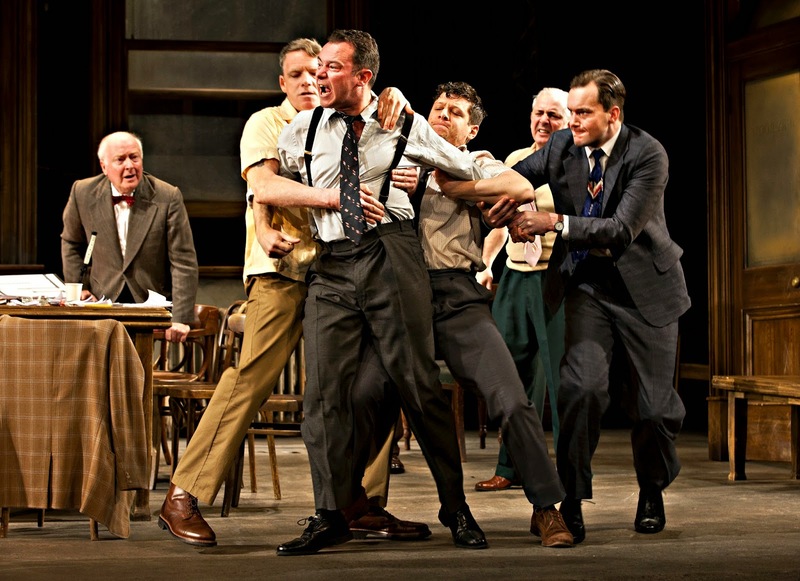 Twelve Angry Men is at Newcastle Theatre Royal Mon 15 – Sat 20 June 2015. ​Creating copy for press. Editing press releases and sending them to the right people. Radio plugging for music clients. Planning a campaign for a release. Plugging the gigs of musical clients, finding opportunities for them. PR packages scaleable to the clients' needs. Live performance photography. Contacting record labels and management companies for musical clients. Social media management. You don't like tweeting? We do! Youtube optimisation for music releases, Facebook help.